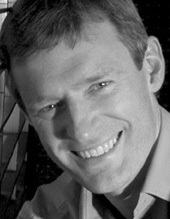 Jeremy Vine presents a daily show Radio 2 and is the new anchor for Panorama. He joined the BBC in 1987 as a news trainee. From the news traineeship Jeremy became a reporter on the Today programme, then moved to Westminster as a political correspondent. John Major once told him, ‘You’re a very impatient boy,’ when he asked a question out of turn. Next came a posting in Johannesburg as Africa Correspondent, then the job of Newsnight presenter, and now Radio Two. His years as a reporter took him to the Middle East, the US, all over Europe and all round Africa: as Africa Correspondent he reported on the border war between Eritrea and Ethiopia, elections in Algeria, Aids in Mali, events in Zambia and Zimbabwe, as well as Sudan, Angola and fifteen other African nations. While on Today, he was sent to Siberia to interview a redundant ballistics missiles expert, was ambushed in a cornfield in Croatia when war broke out in Yugoslavia, covered punishment beatings in Northern Ireland, neo-Nazis in Germany, and sheep racing in Dorset. In 1999, Jeremy’s exclusive on South African police brutality resulted in twenty-two officers being suspended and two convicted. In the run up to the general election in 2001 he travelled Britain in a 1976 Volkswagen camper van sprayed with the Newsnight logo.